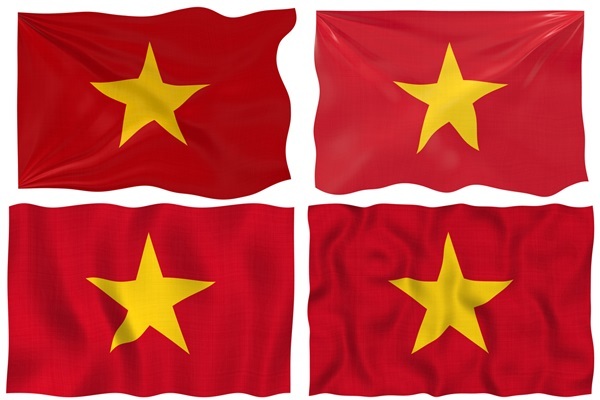 Vietnam is a small, developing nation with a relatively large population. Because of its location on key international trade routes, control of Vietnam has always been of great interest to bigger players. After enduring many centuries of foreign occupation and war, Vietnam now faces increasing tensions in the South China Sea. Instead of being crushed by adverse circumstances, the Vietnamese people are renowned for their resilience and fighting spirit. This never-say-die attitude reflects in the success of entrepreneurs of Vietnamese origin, both in Viet Nam and around the world. Vietnam’s largest dairy producer, Vinamilk exports to 30 countries, including the US and Cuba, and regions such as the Middle East and Africa. Originally from Hau Giang, Lien studied in Moscow before starting work as an engineer at Vinamilk in 1979. 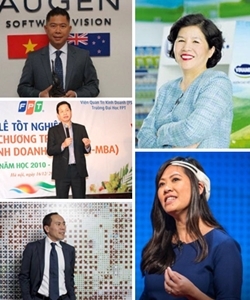 Lien has played a key role in transforming Vinamilk into one of Vietnam’s most profitable and respected brands. FPT Group is one of the biggest IT corporations in Vietnam, with 26,818 workers and total assets of US $1.24 billion. Truong also studied in Moscow, obtaining a PhD in Mechanics and Mathematics. He co-founded FPT in 1988 and established FPT University in 2006. Huy arrived in Australia at the age of seven as a refugee ‘boat person’. Twenty-one years later he founded gifting site Wishlist with his wife Cathy and two sisters. Huy sold Wishlist to Qantas for $850 million and is now a private equity investor. Tan also came to Australia as a refugee, in 1982 when she was four. She went on to become 1998 Young Australian of the Year. In 2011, Tan co-founded Emotiv, a company producing headsets which can read brain signals and facial movements to control digital technology. Originally from Saigon, Mitchell landed in New Zealand in 1985 at age 13 after escaping Vietnam in a fishing boat with 66 other refugees. He studied Information Systems at Auckland University and, in 1993, set up software company Augen with four friends. In 2011 he was recognised by the World Economic Forum as one of 190 Young Global Leaders. Augen now partners with Kiwi companies to provide IT and green technology solutions to South East Asia. The approach of young Vietnamese to study and learn is a big factor in their business success. In 2015, Vietnamese made up 25.8% of overseas students in the US, 15.3% in Australia and 1.9% in New Zealand. Often, Vietnamese students stay on in their host country after graduating and contribute their skills to the local business world. So what can we learn from the Vietnamese about business? Innovation – look at your market place from an outsider’s point of view. Are there opportunities that established operators might have missed? This article is intended to provide general information and comment only. If you have any questions, please contact us at info@battersby.co.nz.